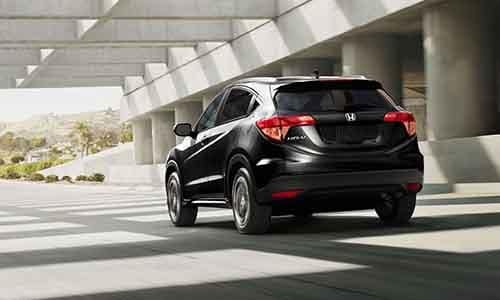 2018 Honda HR-V vs. 2018 Honda CR-V: Which SUV is Right for Me? 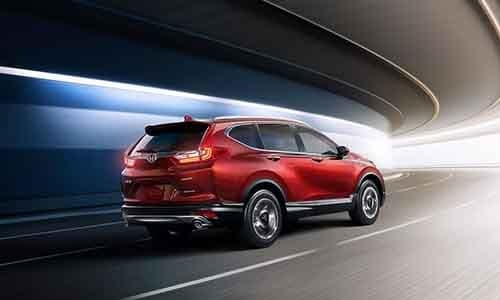 The 2018 Honda HR-V and 2018 Honda CR-V are extremely popular options in the Honda crossover SUV lineup. No matter which one you choose, you’ll enjoy a dependable warranty, efficient performance, and access to features like HondaLink™ smartphone app integration and the Honda Sensing™ driver assistance suite. Still, while these models feature similar technologies and profiles, there are a few differences to consider. Find out which of these models is the best option for your jaunts around Edison, and then visit VIP Honda in North Plainfield for a test drive. The 2018 Honda HR-V is powered by a 1.8L four-cylinder engine that makes a sure-footed 141 hp and 127 lb-ft of torque, which it can send to the front wheels or all four via the available all-wheel drive system. This powertrain setup allows the HR-V to get a standard EPA-estimated fuel economy of 34 mpg highway and 28 mpg city**. 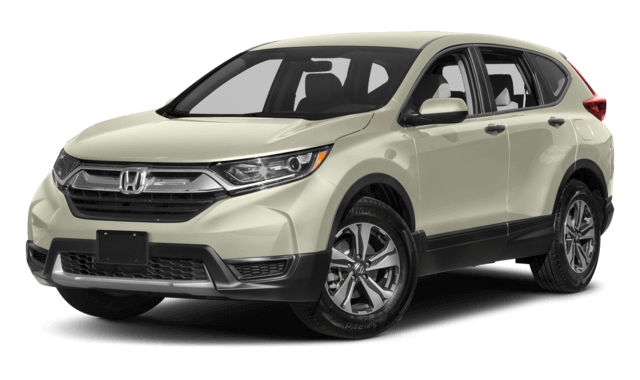 By contrast, the base trim of the redesigned 2018 Honda CR-V gets a standard 2.4L four-cylinder engine that makes 184 hp and 180 lb-ft of torque, while all other models get a turbocharged 1.5L inline-four that makes 190 hp and 179 lb-ft of torque. If you upgrade to the turbocharged powertrain, the CR-V can match the HR-V at an EPA-estimated 34 mpg highway and 28 mpg city***. Otherwise, the CR-V’s numbers hover just slightly below that. 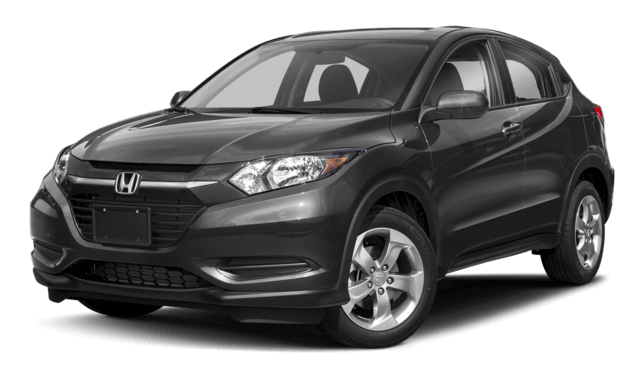 The 2018 Honda HR-V is a subcompact crossover SUV with seating for five passengers. Behind the rear seat, you’ll have a total cargo area of 24.3 cubic feet (with 2WD models), while folding down the rear seat gives you a max cargo volume of 58.8 cubic feet. 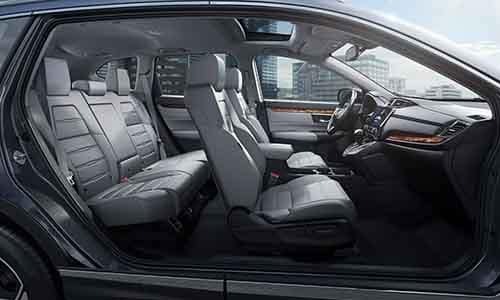 The 2018 Honda CR-V also provides seating for up to five adults but offers even more room for passengers to stretch out! Plus, behind the rear seat, you’ll find 39.2 cubic feet of cargo space, and the CR-V boasts a max cargo volume of 75.8 cubic feet. There’s a lot to like about both the new Honda HR-V and the new Honda CR-V. Best of all, Union families can find both Honda crossovers on sale today at VIP Honda, located at 700 US-22 East in North Plainfield, NJ, just a short drive from Edison. Talk with our finance department to learn about a few of our great offers. With our service and genuine Honda OEM part specials, you can save more buying from VIP Honda. Contact us if you have any questions! *MSRP excludes tax, license, registration, $975.00 destination charge and options. Dealers set their own prices. **28 city / 34 highway mpg rating for 2WD CVT models. ***28 city / 34 highway mpg rating for 2WD EX, EX-L, and Touring with CVT models. Based on 2018 EPA mileage ratings. Use for comparison purposes only. Your mileage will vary depending on how you drive and maintain your vehicle, driving conditions and other factors.